Great carpenters see potential everywhere. Whether you’re transforming an outdated kitchen with new cabinets, revolutionizing an empty hallway with beautiful bookcases, or bringing a yard to life with a new deck, you have a special ability to see what any space could be and turn that image into reality. But that doesn’t mean it’s easy being a carpenter; things don’t always go as planned, and you might sometimes wish you had someone in your corner. That’s where we come in. Our carpenter liability insurance policies were built with you in mind; we designed them to help you succeed on your own terms. With a simple, online process to get your carpenter insurance quote, incredibly affordable rates, free, online proof of insurance and more, you can be confident that your business is covered. And with insurance for carpenters that’s designed precisely to meet your needs, you’ll know that you can expend more energy on what matters to you: building your business and getting your jobs done at a high level. Why Do I Need Carpenter Insurance? Carpenters insurance offers you the protection you need to thrive. It does so by protecting your business in the case of accidents. Carpentry business insurance includes even the type of accidents you couldn’t have anticipated, such as if someone gets injured on a site you’re working on, or you accidentally damage a customer’s property while working in their home. By making sure you have carpenter general liability insurance, you can spend less time worrying about accidents that could happen, and more time working on your projects to be sure they succeed. Insurance for carpenters lets you show your customers that you’re serious, and lets you take on new and bigger projects, with the confidence of great carpentry liability insurance coverage behind you. Why Is Next Insurance Right for My Carpentry Subcontractor Insurance? We know that figuring out self-employed carpenter insurance can be frustrating and confusing. And we know that you have options when it comes to where to buy your carpenters insurance, or even a variety of carpenters insurance services. We also know that you don’t have extra time or money to spend dealing with your business insurance, and figuring out the different types of insurance for carpenters. That’s why we built our carpenters liability insurance around your needs, providing you with a policy that’s simpler, more affordable, and more tailored to your needs. With our policies, you’ll save money and get a lower deductible. You get your carpentry insurance policy online in just minutes, and you get just the coverage you need. Once you’re covered, you’re free to focus on building your dream, whatever form it takes. But don’t take our word for it; check out the reviews from professionals like you, who trusted us as their source of liability insurance for carpenters. What Insurance Does a Carpenter Need? What if I do Other Activities? Many of our customers do multiple types of work; perhaps you do some carpentry one day, and then the next you’re installing flooring, or cutting the lawn. If you do different types of work, fill out the general contractor insurance application. You can tell us exactly what activities you do, and get coverage for them. If your work isn’t included there, it’s not eligible for coverage right now. 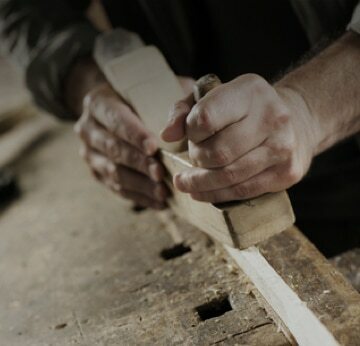 Get carpentry liability insurance for your business quickly and easily, so you can focus on doing what you love. It's easy to buy, affordable to own, and built to meet your needs, with all the coverage you need, and no extras you don't. What is the Live Certificate? The Live Certificate is the digital alternative to paper/downloaded Certificates of Insurance. It’s completely online proof of insurance which you can easily and instantly share with anyone, by email or through a link. I need a certificate of insurance. How do I get it, and does it cost extra? Our certificates of insurance are easy to obtain and free of charge! To generate a certificate, go to www.next-insurance.com and use the “Proof of Insurance” button in the top right corner. Once you log in using your email and zip code, you will be sent a verification code that will then allow you two options, a general-use certificate or a certificate listing a gym or studio. Choose the second option, enter the name and address, and the document will be delivered in a matter of seconds!